You are at:Home»Cruise Holidays»Which Are the Best Cruise Lines for Disabled Guests? Which Are the Best Cruise Lines for Disabled Guests? For those with a disability, cruises offer a hassle-free and relaxing way to enjoy a far-flung holiday. 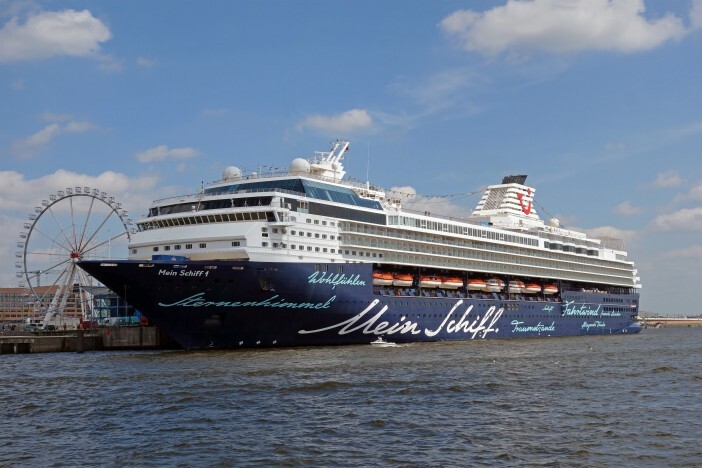 Modern cruise liners are equipped with a comprehensive range of facilities to accommodate disabled or less mobile passengers – including specially adapted cabins, ample wheelchair access and braille for those hard of sight. Here, we take an in-depth look at the disabled-friendly amenities and services offered on cruise ships, choose five cruise lines we consider the best for disabled passengers, and provide some help and advice on booking a cruise holiday for a disabled party. Disabled access provisions differ from cruise line to cruise line, so it’s important to know exactly what facilities are offered before making a booking. Here, we provide a breakdown of the disabled friendly services available on the world’s most popular cruise operators. Please be aware that each of the cruise lines listed reserves the right to change their policies at a minute’s notice, so it’s vital you check with your selected tour operator before making a reservation. Putting aside the provisions offered by individual cruise lines; there are selected cruise ships that offer an extra degree of comfort and ease for those with a disability. To help you choose a specific ship for your holiday, here are five of the best cruise ships for disabled friendly holidaymakers. As the world’s most technologically advanced cruise liner, Royal Caribbean’s Anthem of the Seas provides complete comfort and luxury – no matter what the passenger requirements. From the hull up, Anthem is packed with facilities that make moving around the ship effortless for less mobile passengers – including assisted-listening devices, braille panels, wheel-chair accessible gangways and dedicated sign-language interpreters. There are thirty-four specially adapted disabled cabins aboard, as well as two lifts for easy pool access. Customer service and staff interaction is among the best of any cruise operator. Those interested in experiencing new cultures will be well catered for aboard Celebrity Eclipse – a 2,850 capacity Solstice Class vessel. Celebrity Cruises put a real emphasis on accessible shore excursions for all, and provide an efficient gangway docking service for easy tender in port. On board provisions for wheel chair users are excellent, with a number of specially adapted cabins that feature roll-in showers and lipless entry. Throughout the ship, most doors are automatic or operated by a simple push button controls, and there are a number of grab bars in high traffic areas. Princess Cruise’s aptly named Grand Princess is the line’s flagship vessel – offering comfort and luxury for every passenger. Upon embarking and disembarking the ship, a mechanical gangway simplifies access for wheelchair users, whilst a raft of onshore excursions are available to all passengers – regardless of their personal requirements. 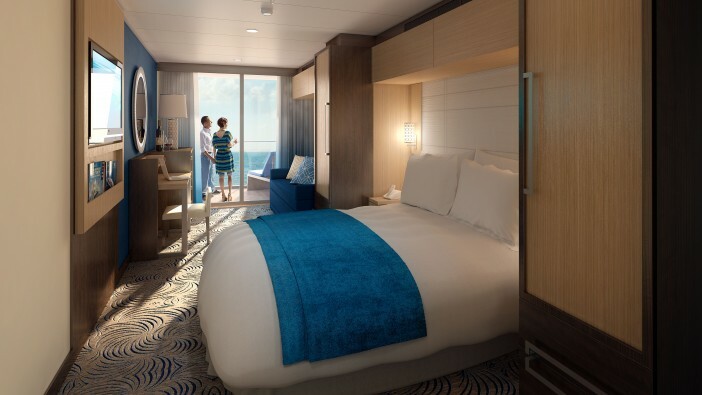 The ship’s accessible cabins are ergonomic and comfortable – with widened doorway, wheel-in showers and lowered facilities for disabled guests. Princess has done a good job making the ship easy to navigate, providing braille panels, infrared listening assistance and tactile alarm systems for hard of sight or hearing passengers. Norwegian take the needs of individual passengers seriously; they ask all guests to provide a list of their needs and requirements prior to disembarking, and provide a dedicated Access Officer for disabled guests should they have any problems aboard. Among its vessels, Norwegian Epic is perhaps the best catered for disabled passengers. The ship has 27 disabled friendly staterooms, each of which is kitted out with a variety of access provisions. Public areas are also wheelchair and disabled friendly, with clear signage, braille indicators and complementary packs for those hard of hearing. For families with a disabled child, planning a holiday can be a stressful endeavour. Book a cruise aboard Disney Dream however, and you and your child can enjoy the stress-free holiday you deserve. Disney Cruises adhere to the philosophy that every child should be able to enjoy and participate in a cruise holiday – regardless of their abilities. The line’s Dream vessel has a dedicated youth programme, with specially trained guardians on hand to ensure each child has a fun and fulfilling time whilst aboard. Elsewhere, the ship has a range of disabled friendly access provisions, as well as 16 specially modified cabins for wheelchair users and less mobile guests. Talk to your travel agent about your requirements prior to booking to ensure disabled access cabins accommodate your needs. Be sure to fill out a medical request form prior to embarking on your cruise. Here, cruise lines will ask for details of your condition to ensure your needs are catered for. If you’re interested in taking shore excursions with third party companies, check with your cruise operator to find out if there are any mobility restrictions. Travelling with a service dog? Be sure to alert the cruise line before you travel. Though service dogs are permitted on all sailings, special documentation may be required at some ports. If you currently use a mobility scooter, check if your cruise operator permits these aboard your particular vessel. Mobility scooters may not be suitable for use on some ships. If you require a hearing impairment kit, let the cruise line know prior to travel. Alternatively, alert a member of the crew as soon as you arrive and they’ll be happy to provide you with any necessary equipment. Some coach transfers don’t provide accessibility provisions for wheelchair users. If this is the case on your trip, contact your tour operator and they arrange alternative onward travel for you. Make sure you have all the relevant documentation with you before travel – including any medical certificates, boarding passes and vaccination records for your service animal. If you’re flying to the departure port, contact your airline to notify them of your special requirements to ensure a smooth start to your journey. Although crew members will do everything they can to make your cruise as comfortable as possible, they are not permitted to provide professional care on-board.